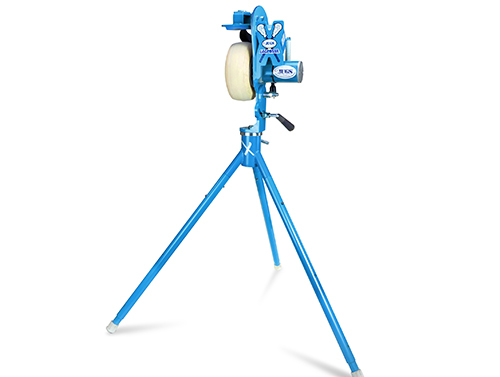 Take your players and team to the next level with the Jugs lacrosse machine. The JUGS Lacrosse Machine (M1160) will help your players learn these basic ball handling skills that include scooping, catching, passing and shooting. Throwing up to 60 mph and 60+ yards makes the JUGS Lacrosse Machine the perfect tool for practicing these skills. Allows for balls to be thrown in different directions without moving the machine. Ball speeds up 60 mph.